I frequently make no-knead, crusty artisan bread. In fact, it's so popular I bake it at least once a week and, but for the lack of more (extraordinarily expensive) cast iron casserole dishes, I would bake more at a time. The other day, I was proofing two 100% wheat sourdough loaves in bannetons. It was taking AGES because it has turned cold and because the new 13% gluten flour I bought seems to move incredibly slowly. It is also tremendously sticky, but that is a different post. I left them over night and in the morning when the casserole dish was free, it seemed to invite one of the loaves to jump in. And so I did the great sourdough bake test. 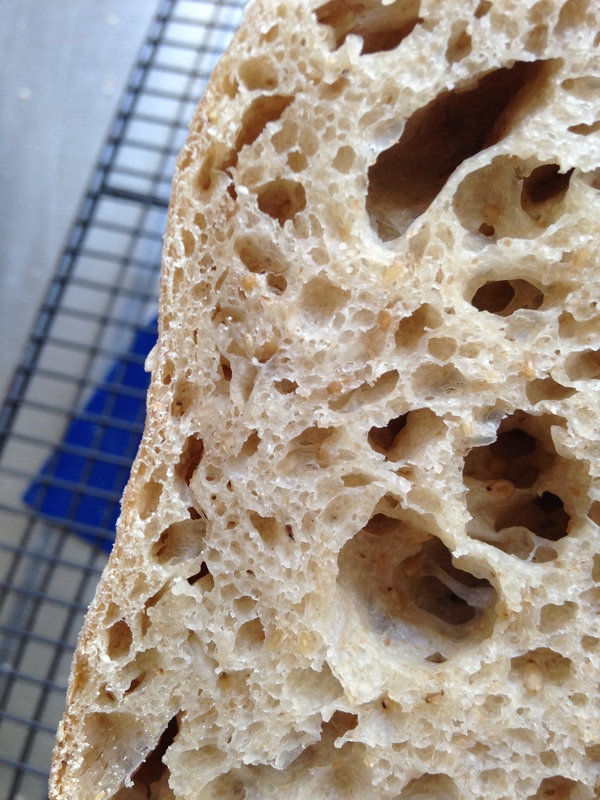 First, apologies, the dough had slightly over proofed so there was not a whole lot of spring and indeed there was a slight collapse in the crumb. But that aside the differences were rather interesting. First note is the crumb. 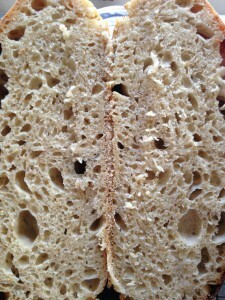 You will notice that it looks similar in both the loaves. Second note is the crust. 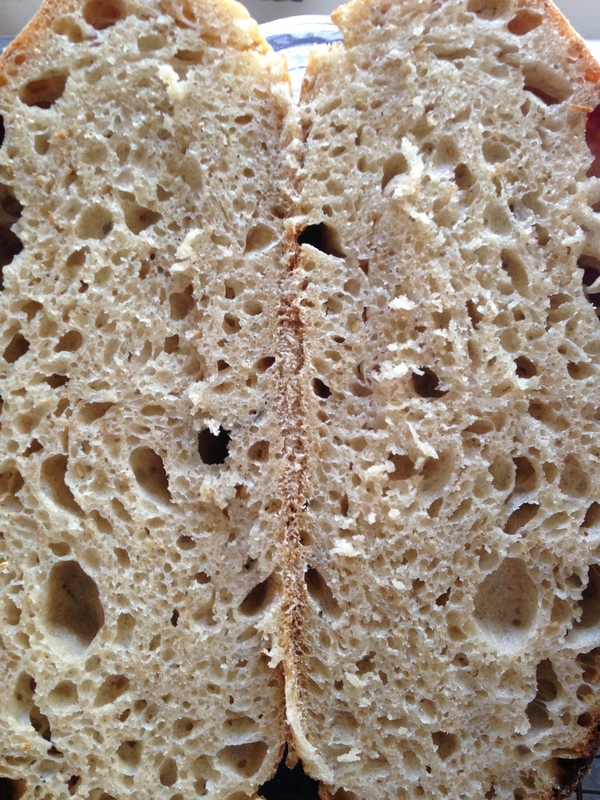 The crust on the casserole loaf is much MUCH thinner than the crust on the other loaf. I thought that was interesting. It was also much softer (in a good way). 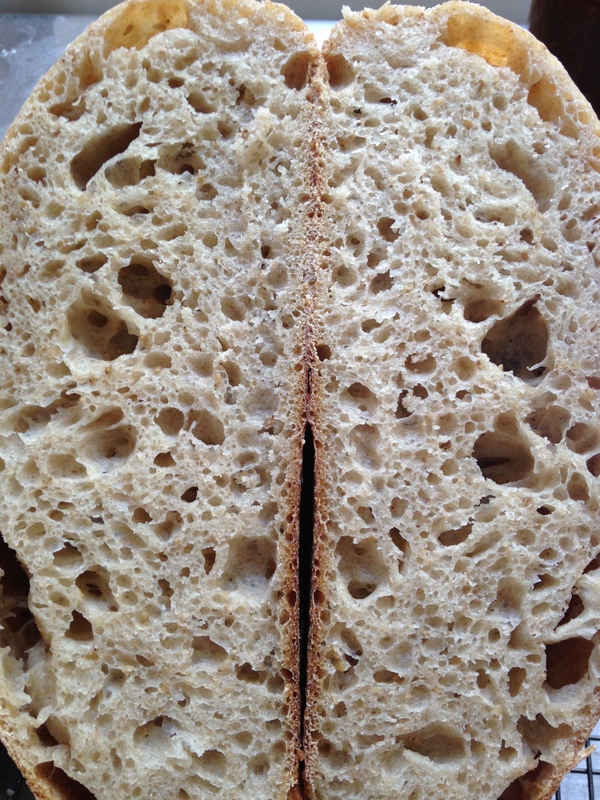 The crust on the other loaf was really, really sturdy. I am fine with that because I don't mind having to chew determinadely however, I know many who would rather not. So, I have to try this again with perfectly proved loaves and when I do, I will report back. 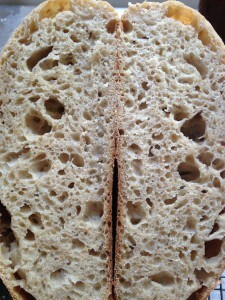 If you have holes-in-my-bread envy, have a read here about how to get the holes in your bread. Meanwhile if you would like to learn more about sourdough baking, take a course with us or buy a gift voucher for the special person in your life (Christmas IS coming, whether you like it or not) and that person can bake you bread - now there is a gift that just keeps on giving. If anyone from Le Creuset is reading this, a few chipped or scratched casserole dishes would not go astray here at the global HQ of Virtuous Bread. 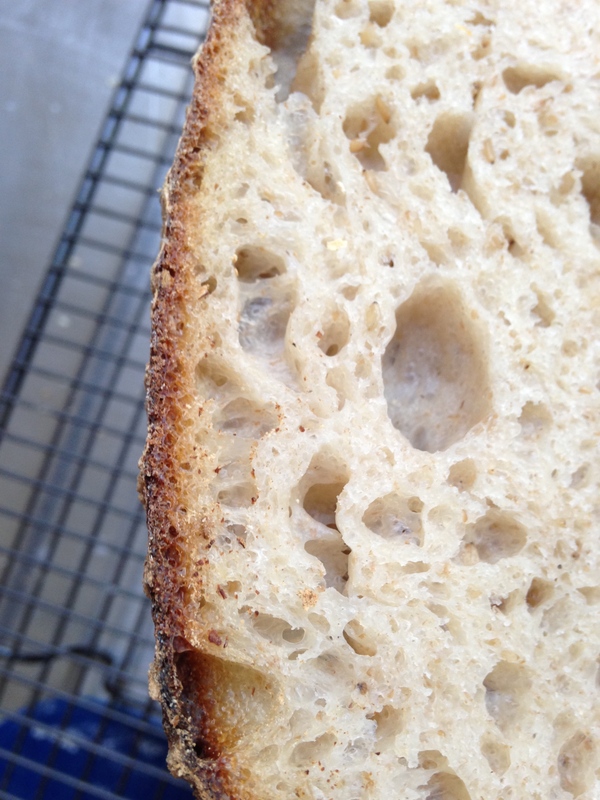 They don't need to be beautiful to bake excellent bread.